(i) 12th Pass or equivalent examination from recognized board or university. (ii) Skill Test Norms on ComputerEnglish Typing @35 w.p.m. Hindi Typing @30 w.p.m. Candidates fulfilling above conditions must submit their application as per the format given at Annexure 1. Additional one more photograph to be attached with application. The application form along with necessary documents to be forwarded at the following address:- The Commanding Officer Armed Forces Medical Stores Depot 20, Manekshaw Road, Pune-411001.Last date of receipt of application: Last date of receipt of application is 21 days (by 1600 hrs) including Sunday and Holiday from the date of publication of this advertisement. 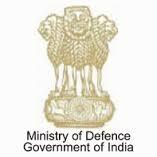 Ministry of Defence recruits Lower Division Clerk posts. 12th passed candidates can apply.